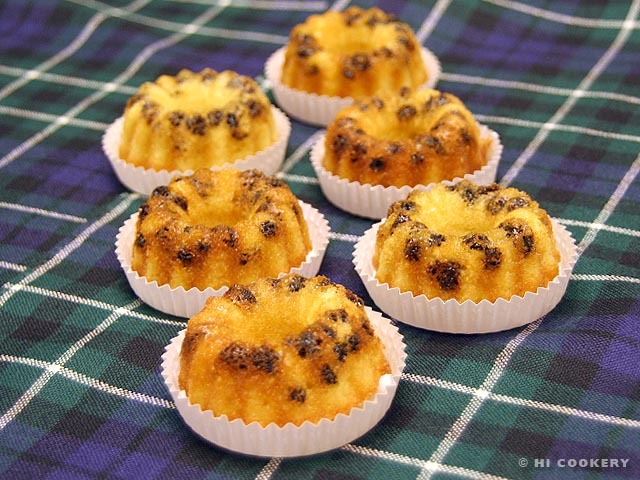 Besides scones and shortbreads, there are other Scottish sweets we like to eat, such as the delicately delicious floral-scented tea cakes pictured above. Montrose tea cakes, although disputed to be affiliated with Highlander’s ancestral clan chief or the historic city in Scotland, may have been named partly because of an essential ingredient in this recipe—rose water. Whatever the inspiration, these tiny treats are terrific for tea time as well as for honoring the memory of James Graham, the Great Marquis of Montrose. In a large mixing bowl, cream the butter with the sugar until smooth. Beat in the eggs. Add the currants, brandy and rose water. In another bowl, sift the baking powder, salt, flour and nutmeg. 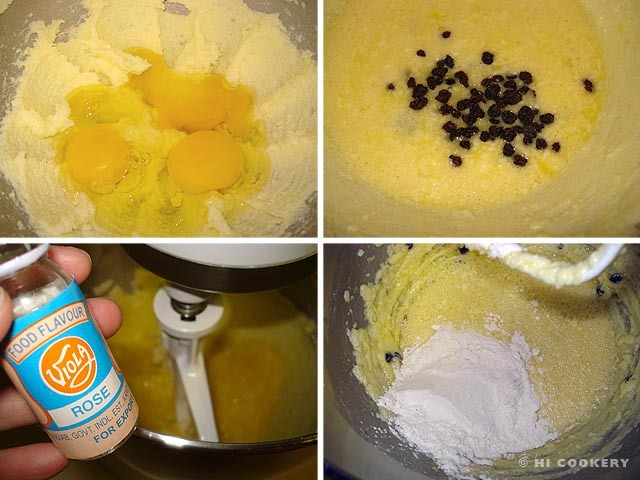 Mix into the batter until smooth. 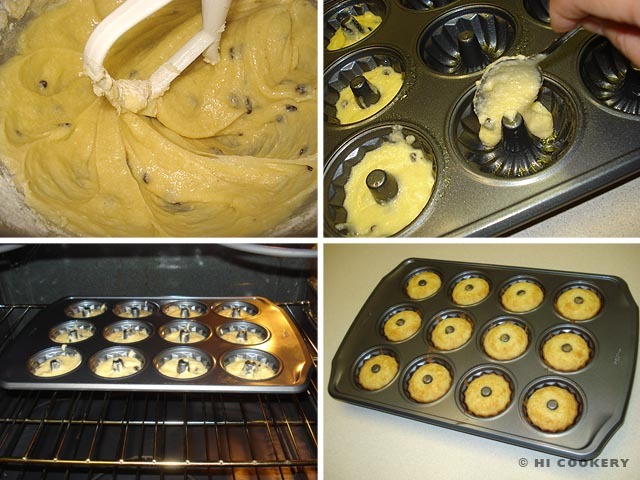 Fill a greased baby bundt pan or mini muffin/cupcake tin no more than ¾ full with batter. Bake in a preheated oven at 375 degrees F for 15 minutes or until golden brown. Remove from the oven and cool completely. When we honeymooned in Scotland in 1997, we visited St. Giles Cathedral in Edinburgh where James Graham, the Great Marquis of Montrose, is buried in a regal memorial. The tea cakes above are photographed on a modern Montrose tartan. Rose water may be found in the specialty baking aisle of grocery stores or at Indian and Middle Eastern food markets. Its essence tends to yield a strong taste, so reduce the flavoring to half or one teaspoonful, if desired. If using self-rising flour, omit the baking powder and salt in this recipe.